PROSPECTIVE parents could receive discounted fertility treatment if they promise to donate some of their embryos to other people, under a proposal to deal with the problem of thousands of unwanted embryos sitting in clinic freezers. A reproductive law expert at University of Technology Sydney, Jenni Millbank, estimates that of the 120,000 frozen embryos in storage in Australia, up to 30 per cent will never be used. But many people embarking on IVF do not consider what they will do with any embryos left over once they have completed their family. Less than 10 per cent of unwanted embryos are donated to other families or to science, with the majority disposed of by clinics after storage periods expire, usually after five or 10 years. A UTS report on the quandary facing IVF parents who have unwanted embryos in the freezer recommends authorities investigate whether reciprocal donation could work in Australia, potentially reducing the number of unwanted embryos and helping with the shortage of donor supplies. Such a scheme already exists in Britain, where IVF patients who agree to donate some embryos to other people can store their embryos free, receive cheap fertility treatment or be bumped up the waiting list for donor sperm and eggs. Half of the 114 IVF patients UTS surveyed who had received donor sperm, eggs or embryos said they would consider reciprocal donation if it was offered in Australia. But others feared any inducements to donate embryos would improperly influence people’s decisions. 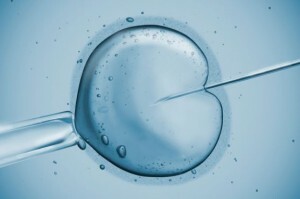 The Fertility Society of Australia vice-president, Michael Chapman, said there was little need for reciprocal donation in Australia, because 95 per cent of embryos created were used. He said there was more demand in Britain for a financial incentive to donate because IVF cost twice as much there. ”[In the parents’ mind] it’s a potential child that they’re adopting out, that’s what stops most of them,” Professor Chapman said. The person who responds to an application by agreeing or opposing the orders sought by the applicant.